Why purchase dog grooming combs, you might ask? Isn’t a good brush enough to keep my dog looking great? I had the same question, and I was surprised to find out that all good dog owners need at least one comb and some of us need a variety of combs. But before you go out and spend your good hard-earned money, read what I found out. My first dogs were short-haired dogs that shed so I faithfully brushed them to keep the shedding down to a manageable level. When I got my first long-haired dog, a Shih Tzu, I realized that just brushing did not always remove all the mats; I decided to start looking into the problem. That was about 30 years ago. Now it is easy to find a dog grooming comb that will solve almost any type of dog hair problem. Well, that was only the start. Dog grooming combs come in all sizes, shapes and colors. You can buy combs with ergonomically appropriate handles. There are handles made of wood, metal, or silicone gel that conforms to your hand. Then there are combs with no handles at all. There are dog grooming combs that have static teeth and those that rotate. Combs can have teeth spread far apart (coarse) or arranged tightly (fine). Some combs have both. Some combs have longer teeth to maneuver through longer coats. There are even rat-tail combs. Who would a thought? Like every other product available in the 21st century, there are so many choices that it makes the average person’s head spin. Which comb or combs is best for your dog? Not every dog needs one of each of the following combs. But some breeds need more than one type of comb to keep their coat looking great. If you think you have a flea problem, you can quickly find flea dirt (flea excrement) on a dog’s coat with the use of a flea comb. These little combs have very fine teeth that would normally not go through a thick coat of hair, but they do separate the hairs well enough to find fleas and their droppings. These combs can also double as a face comb for removing gunk and debris from under the eyes. Remember, if your dog does have fleas, you will want to clean and sanitize these combs after each use or you run the risk of re-contaminating your dog. Others come in extra-coarse and fine/finishing. These are all good for fluffy coats, removing dead hair and small mats. Most of these combs have static pins, but you can purchase ones with rotating pins. The rotating pins seem to move easier through the hair and prevent less hair from being pulled out by the roots. These combs are good if you are growing out your dog’s coat and want to avoid any hair loss. Others have handles made of wood, bamboo, molded plastic or different types of gel that feel right in your hands. The ergonomically designed handles reduce the strain and fatigue of repetitive actions especially when you are de-matting a coat. They are definitely a plus if you have problems with your hands or wrists. Whether you prefer ones with or without handles is a matter of personal preference. If you have problems with static electricity, then you will want to find a comb coated with a chemical that will prevent flyaway hair. These dog grooming combs have much fewer teeth spread widely apart. The teeth are sharper for cutting through and removing mats. If other methods of removing mats do not work, a dematting comb will do the job. Contrary to popular belief, these combs are not painful if used correctly. Do not try to pull out large mats all at once, because that will be painful to your dog. Be careful that you do not accidently cut yourself while using them. Unless you are very careful, I would not recommend using these combs on the face and near the eyes. It is so easy to slip and cause injury to the eyes. I am adding this product on my dog comb page because they work great at removing hairs before the dog sheds his coat all over your furniture. FURmanators have been designed to work on dogs or cats. They use a stainless steel design that looks like the undercoat rake but comes in many different sizes. The handles is ergonomically correct, making deshedding comfortable for anyone. They were designed for dogs that are heavy shedders and for that purpose they work great. Getting the hang of using a Furmanator can be challenging to some, because a little too much pressure on the skin can cause skin irritation. 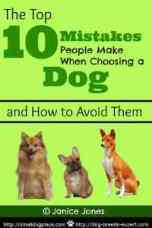 The link below takes you to a page where you choose whether your dog has short or long hair and what size you prefer. Has an ejector button that removes the hair from the tool. These dog grooming combs, also called de-matting rakes are good at getting through thick hair with dogs that have a dense undercoat. Called a rake because it resembles the garden rake variety, the teeth are spread farther apart than the average comb. Some come with uniform teeth and others have alternating sizes where every other tooth is longer than the one next to it. Rakes are designed to pull out dead coat and shedding fur with ease and keep the healthy coat intact. Rubber Curry Comb (Some call this a brush) is a soft tool that massages the skin and removes dead hairs on short-haired dogs. This tool can be used in the bath or on a dry dog to massage the skin. 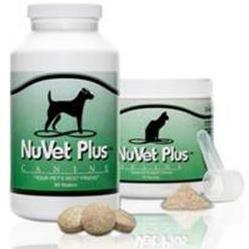 It helps reduce the amount of hair that would normally shed out, especially during seasonal shedding periods.